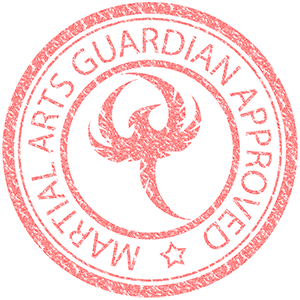 As one of the major Krav Maga clubs in South London, we're proud to announce that we're now recommended by the Martial Arts Guardian initiative. Steve Rowe (chairman and director of the Martial Arts Standards Agency; senior instructor at Shi Kon Martial Arts), Russell Jarmesty (renowned self defence instructor; founder of Jarmesty Martial Arts Academy), Scott 'The Devil' Caldwell (founder of Real Fighting) and Simon Keegan (head instructor and founder of Bushinkai) are the force behind Martial Arts Guardian. These renowned and respected martial artists thrive to raise the standards of the Martial Arts industry and help clubs grow in an ethical way. "we are determined to help instructors and students keep it real!" As part of the initiative, they decided to publish an online martial arts magazine to spread the good words and simply "put good, honest and ethical martial arts information out there for free". In this magazine, you'll find news, reviews, reports, events and videos from the martial arts world as well as interviews, training tips, demo videos and a bit of comedy.